Sweet Venues, a stalwart venue at the Edinburgh Fringe hosts venues in Brighton as well with new spaces and plenty of theatre, cabaret, comedy and music. And the good news is that Sweet isn’t only in Brighton for the Fringe. Some of its venues here are now year-round Sweet venues. Sweet! Suite is fringe in our books because its venues are spread out across our fair city. Sweetwerks is at 15-17 Middle Street. Sweet @ The Welly is located at the Wellington Pub at 70 Upper Gloucester Road near Brighton Station. Sweet at The Mayo, is behind 58 Richmond Road. Sweet Venues plays host to theatre all year-round in Brighton. 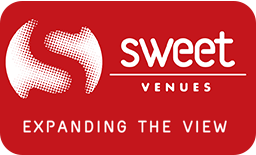 Paul Levy talks to J D Henshaw from Sweet Venues. J D reflects on what makes Sweet Venues unique, its “cultural family” ethos. He describes how Sweet finds and creates performance spaces and shares some personal reflections on why it is important to keep venues on a human scale. Our intelligent and intuitive way to find a show or event at Sweet Venues. We’ve chosen a few intriguing images from the programme that grabbed us. We’ve selected evocative phrases from the Sweet programme. Journey through a landscape filled with log cabins, forests, mountains and magical waterfalls, drawn through clever riffs and augmented fiddle playing, harmonies and dance. Pascal lives a lonely life with his mother in Paris. On his way to school one day, he finds a red balloon and together they discover the true meaning of friendship. A night exploring the grimy underbelly of a girls’ night out. The perils of creepy dudes, lad culture, and general unwanted attention face almost every girl when partying, so why aren’t we talking about it? A funny, poignant and uplifting account of what cosmology, and those who study it, have to say about the more earthly matters of life and love. What happens when eccentricity meets electricity? What connects the invention of the light bulb to the Berlin techno scene? You were sort of friends when you were young, and then sometime in the 90s, you’re both at Uni and you bond over your love of ‘The West Wing’, walking and talking your way down life’s own Pennsylvania Avenue, until you inevitably fall out over a girl.